Masaki Miwa is a Graphic Designer and Art Director primarily working within the contemporary art, design, fashion and culture sector. Working on projects that initiate, question, reflect, develop, deconstruct, challenge and experiment ; with concepts, ideas, values and perception; for ambitious and forward thinking individuals, institutions to organisations. Co-founded Zyxt, a graphic design studio and independent publisher working on both self-directed and commissioned projects. 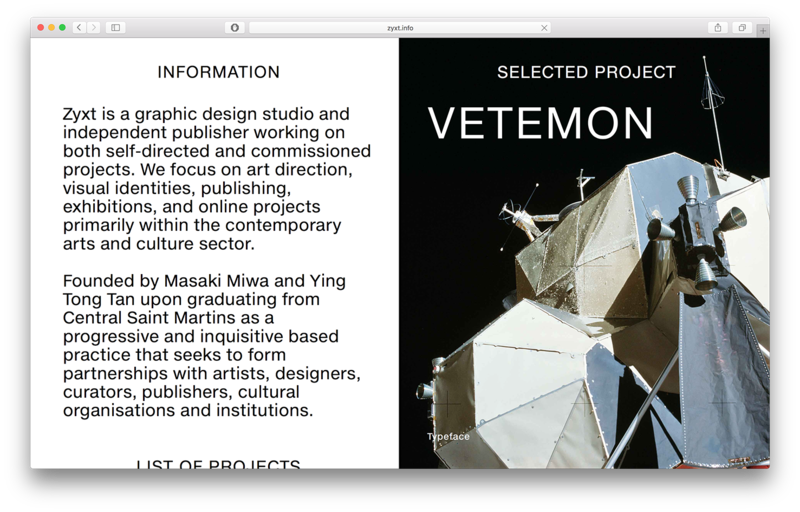 Focusing on art direction, visual identities, publishing, exhibitions, and online projects primarily within the contemporary arts and culture sector. Formed with graphic designer Ying Tong Tan. Projects include working with, and for Åbäke, Arielle Berman, Booksfrom­thefuture, Capitol Music Records, Christian Duff, Condozine, Dreamcoat, Federico Antonini, Francis Upritchard, Friends of Arnold Circus, Herrick Gallery, Housework­(Press), Joseph Townshend, Juliana Futter, Krister Olsson, Marta Jakubowski, MIMOCA Marugame Genichiro-Inokuma Museum of Contemporary Art, National Portrait Gallery, Simon Browne, and University of the Arts London, Central Saint Martins. 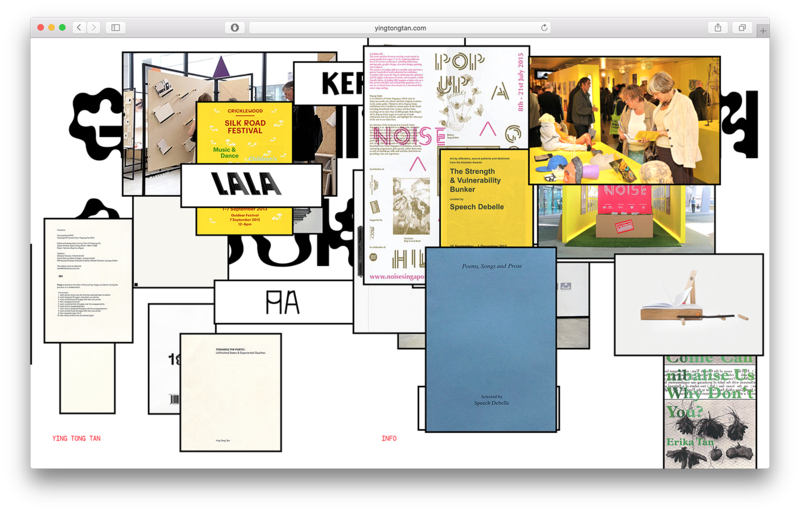 Selected works are stocked at ICA London, Rijksmuseum Research Library, Central Saint Martins Library, Draw Down Books, Good Press Gallery, &: christophe daviet-thery and Tipitin. All images are © the artists/designers.